Nagpur: The Inter-Cricket Premier League, organized by Maharashtra State Chemist and Nagpur branch of the Druggist Association, will be held on the Cricket Ground of Ambedkar College. 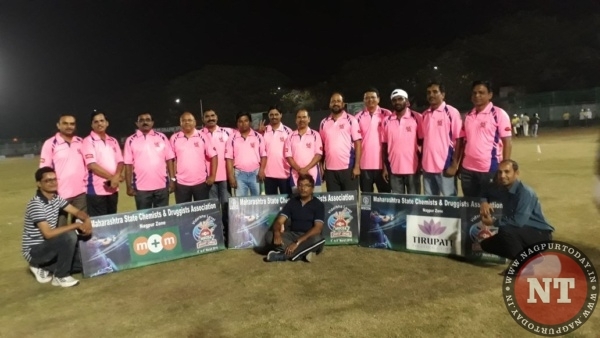 In this, 14 teams of Vidarbha Chemists which include Akola, Amravati, Bhandara, Buldhana, Chandrapur, Gadchiroli, Wardha, Yavatmal, Nagpur Rural, NDCDA1 and NDCDA 2 as well as teams of Food and Drug Department are participating in the cricket match being held from March 4 to March 9. On this occasion various cultural events will be held during tournament. The tournament was inaugurated by Anil Navender, Secretary, Maharashtra State Chemists and Drugstates Association. 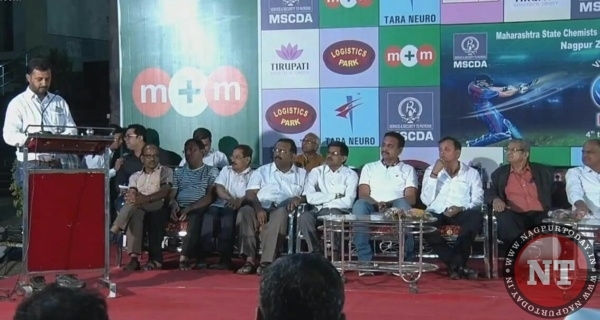 Special guest for the programme were Virendra G Thakker, CEO of Logistic Park, Dilip Parekh, Sanjay Mohta, Sachin Poshhetwar, Vice President of MSCDA Mukund Dubey and Harish Ganeshani. The programme was conducted by Hetal Thakkar. Nagpur Zone Chairman Suresh Sarda, Secretary Naval Mohandia, Shrikant Dubey, Dhananjay Joshi, Manish Gupta, Surend Dhole, Akbar Khan, Pradeep Dharme, Chandrakumar Gangwani, Rajendra Quadkar, Vikas Oberoi, Veerbhan Only Ramani, Nikunj Shahu, Khemchad Balani, Girish Bhattar, Sanjay Khobragade, Himanshu Pandey, Atul Pethia are working hard for the success of tournament.